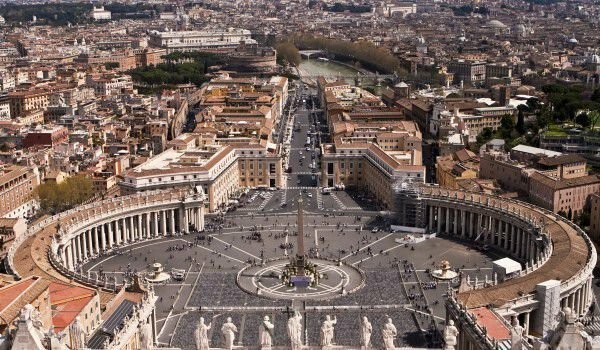 Italy, Rome and the Pope, this is the first association that people usually give when they hear about the Italian capital Rome. This former capital of the Roman Empire is the most powerful, great and lasted the longest Empire in classical Western civilization today, and is owed for its fame brilliance and beauty of its millennial history. The Capital Rome is located in the Italian region of Lazio, and beautifully passing through are the currents of the rivers Tiber and Aniela. Over 2 500 000 people live within Rome and in the suburbs, reaching down to the Tyrrhenian Sea, the number of people becomes a little less than 4 000 000. The City of Rome has nearly 2800 years of history. 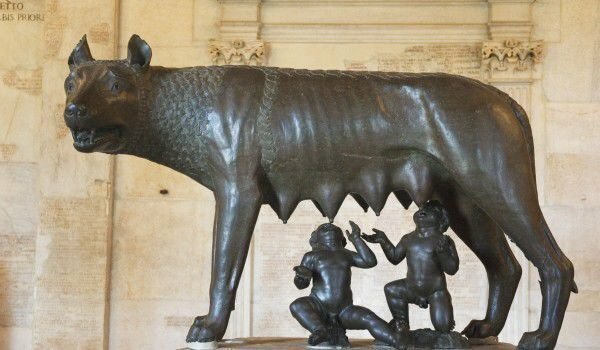 According to legend, Rome was "born" on 21st April 753 BC when the brothers Romulus and Remus founded the city of the seven hills in villages near the River Tiber. The city was founded on the Palatine Hill, and Romulus became the first king of Rome. Born in Rome were called patricians. They were entitled to participate in the National meetings as opposed to plebeians - migrants in Rome, whose numbers grew with the development of the city. Plebeians were outside the indigenous tribal organizations and Romans had no political rights. In 509 BC patricians abolished the monarchy and Rome was proclaimed a republic - the first in world history. In 74 BC Rome had to face the great test of where a slave named Spartacus Thrace raised the biggest revolt of his time. After three years of constant battles, Crassus quelled the uprising. Many of the empire after sunset during the 5th century on September 20th in 1870 joined Rome the newly liberated and united Italy and it became the capital of the state. Millions of tourists a year pass through the amazing streets and squares of Rome, which testify to the emergence and development of civilization. To see all of Rome would take you months, because with each step arises something new and interesting, which brings a long history. Good to know that the queues in the Coliseum, Forum, History Museum and the Museum of the Vatican are literally miles long. The Vatican Museum has so many people flocking before it that queue tails about 3 - 4 km long. One of the symbols of the city - the Colosseum of Rome, is not really so beautiful and brilliant as we are accustomed to seeing on postcards and pictures. However, this dignified building remains the colossal monument of Rome. The original is not quite the Coliseum that stands today; the people often rely on imagination to imagine what the view of this spectacular place in antiquity was like. Also you can not miss the Arc de Triomphe and the Emperor Constantine I, which is located right next to the Coliseum. Another emblematic place in Rome is Piazza di Spagna and the Spanish Steps. Today the steps are best known for the fact that there are fashion shows there. From them you can reach the street Via Condotti, which does have the luxury shops and boutiques of all famous fashion brands - Gucci, Dolce & Gabbana, Armani, Bvlgari, and Christian Dior etc. Another miniature of some cards advertising the Rome has Fontana di Trevi. This fountain is the largest in Rome. It marks the end of one of the aqueduct, which supplied the ancient city with water. We can definitely say that this fountain, the Spanish Steps and the Colosseum is the most crowded year round by tourists. 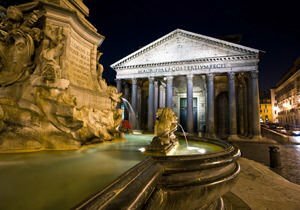 The Pantheon in Rome or also known as "a temple of the gods" is a remarkable magnificent historic building. The Roman Forum was once the center of ancient Rome. Today it constitutes the most extensive area of the ruins and evidences of the glorious past of Rome. Another mandatory stop in Rome is the Vatican, St. Peter church and Vatican Museums. Though miles of queues tail in these remarkable places entery is fairly quick, usually giving a half an hour wait, which is a not that long, given that the inside will reveal the incredible works of Michelangelo and Raphael. In the church is a picture of Michelangelo's Last Judgement and The Creation of Adam. On Saint Peter's Square and Basilica is St. Peter, which is a central sacred place of the Rome church. Another spectacular sight of Rome is the Sant Angelo Castle, which is located very close to the Vatican by the Papal Palace which has one wall that leads to the castle and Sant Angelo. Castle Sant Angelo is known as the Mausoleum of Hadrian (Hadrian, Publius Aelius demek Emperor Trajan Hadrian). Emperor Hadrian began to build over 135, as a mausoleum for themselves and their family members. After the death of Hadrian the construction was completed in 139, by his successor Antoninus Pius.